Home > Adam, Aston Martin Racing, Dalla-Lana, Dunlop, Lamy, lauda, Serra, Sorensen, Spa, Stanaway, Thiim, Turner, Vantage GTE, WEC > Spa WEC: "It's a great race - shame we aren't in it!" Spa WEC: "It's a great race - shame we aren't in it!" To say that Aston Martin Racing must have left the second round of the 2017 World Endurance Championship both disappointed and frustrated would perhaps be the biggest understatement of the season so far, after another race that left them floundering at the rear often GTE Pro field. Darren Turner, driver of the #97 car alongside Jonny Adam and Daniel Serra, summed the teams situation up quite appropriately from the series commentary booth by agreeing that it was a great GTE race but it was just a shame that neither AMR were part of it! That was particularly upsetting to hear especially as Turner was competing in what was his 80th start for the Prodrive team. 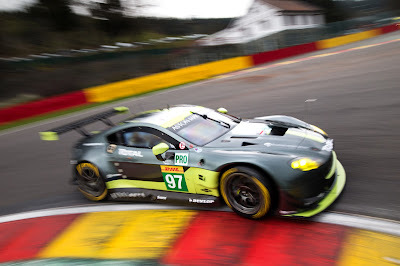 Team mate Pedro Lamy was also 'enjoying' his 60th start although the situation on track between the AMR Pro cars and the AMR Am car was quite simply chalk and cheese as the #98 car of Lamy, Mathias Lauda and Paul Dalla Lana ran away with a convincing class win. Despite the two Pro cars running split fuel and tyre strategies throughout the race there appeared nothing that either cars could do to offset the on track performance differential of primarily the Ferrari's and Ford's but also that of the Porsche's although to a lesser degree. Looking at average lap times between this race and last years, all the GTE's have made slight improvements on their comparative lap times to last year's race although the gains made by the Ferrari's and Ford's are slightly better than the Aston's. 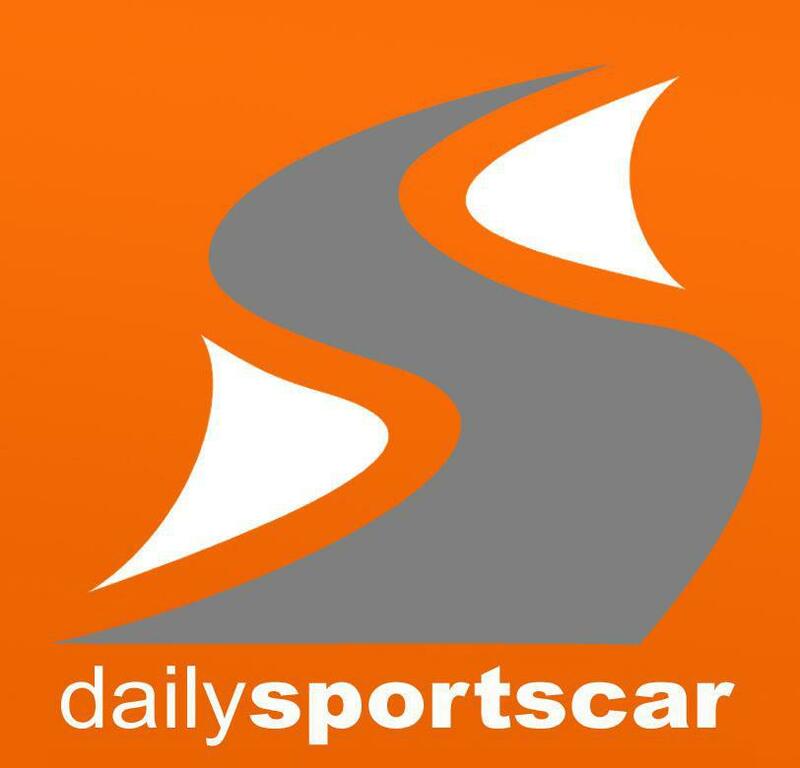 We believe that those within AMR would have admitted that their chances of success at Spa were remote (without accident or incident to others) due to the characteristics of both the circuit and the individual cars although few would have believed that the difference was going to be what it was. Both Pro cars ended the race three laps down to the winning AF Corse Ferrari. 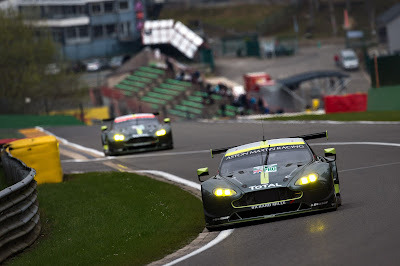 Could that be because the V8 Vantage GTE has now just run its course against the new generation cars from its rivals OR that AMR are simply playing the longer game we don't know?. If it is the former then that is quite a scary thought for the remainder of the season but then, if it's the latter then the tide should surely start changing with the fly away races just like it did in 2016. There's certainly no need to start panicking …………….. !! All we do know is that it will be all hands to the pump as everyone at the team and supporting Partners help prepare the cars, drivers and engineering team to move on as emphasis now targets a great result at the Le Mans 24H, a race that is now just over a month away. Of course, Le Mans test day comes around first (at the beginning of June) but that can be left to housekeeping, set up testing and driver refamiliarisation as there are always no medals for being quickest in practice. The biggest question with Le Mans will of course be the apportioning of Balance of Performance criteria to the respective platforms and lets just hope it better than the one offered to the team last year!! Anyway, many congratulations to the #98 car for another impressive team performance and who overcome their own adversity and dilemma to win by 31 seconds. Keep your heads up you guys at AMR - we are right behind you.